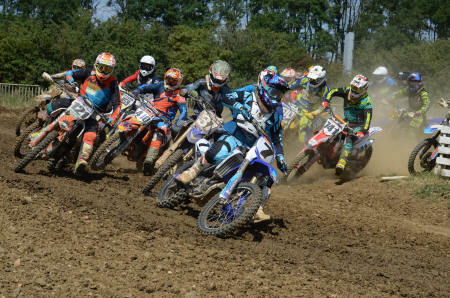 The SMC Summer National at Milton MX Park was hot and dry, as you’d expect for July. What you probably wouldn’t expect was the Wild & Woollyesque first race after the lunch break. Following some much needed lunch time track watering, the circuit briefly became a quagmire in certain sections where large puddles had built up. Michael McClurg took yet another SMC overall victory in the Expert Class, taking 3 straight wins on his quest towards another championship. 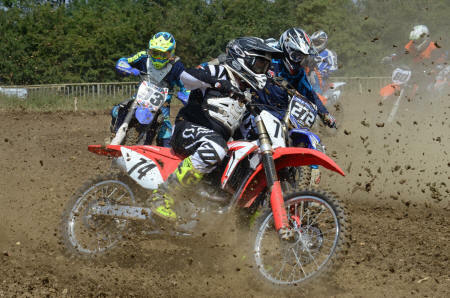 Reece Wain took three second places on his debut in the Expert Class, with Kyle Creevy in third. Lewis Huckerby dominated the Junior class with three clear wins. Sam Harwood and Callum McClurg traded second places and ended up equal in points, Sam taking second overall by virtue of his second in the final leg. The NGR Series were once again guests of NMCC at this event, with another round of their popular series. 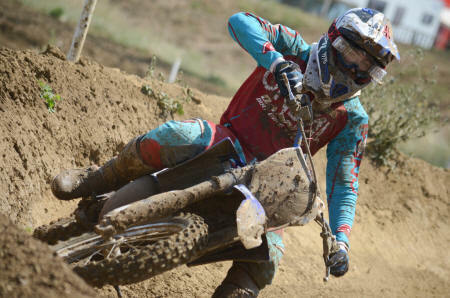 Liam Walker dominated proceedings, excelling on the big outdoor supercross track. Aaron Hopkins brought it home second each time with Martin Cuddy third. 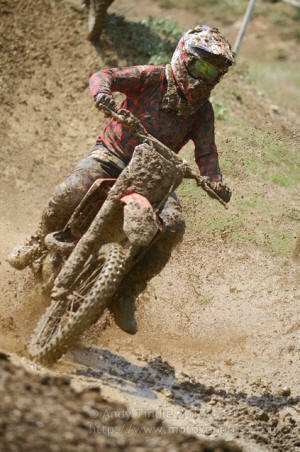 In the Premier Over 40 Class Mark Richardson showed once again his command of the Milton Circuit, taking the overall with two wins and a third in the mud race. 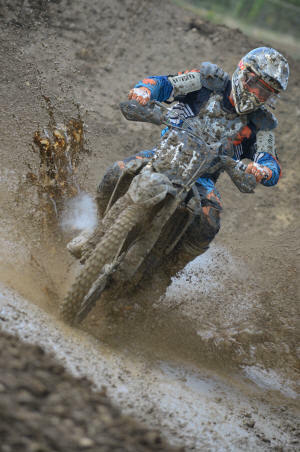 Cliff Lester took second overall including a fine win in the mud race where he managed to check out and stay clean. Tony Leishman finished close behind in third overall. In the Elite Over 50 Class Greg Cox took the first two wins and the overall after some very close battles with Fraser Law. Fraser redeemed his second overall somewhat with victory in the final encounter ahead of Simon Tucker in third. Who can beat Nigel Miller in the Super Over 60 class? Nobody on this occasion as he swept to another hat-trick of wins. Roger Knibbs took second overall ahead of John Smith. 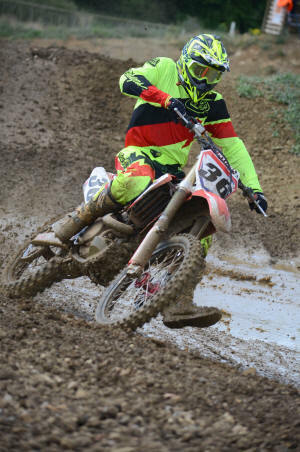 Finn Ellis topped the Under 40 class after a tie on points with Ian Tindle. Jack Hunton took third by a single point from James Lewis. 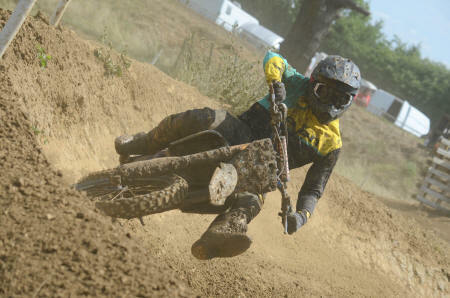 2 Stroke supremo Tony Leishman took another overall in the 2 Stroke class. Nigel Miller finished second ahead of that man Ian Tindle again. no. name r1 r2 r3 total pos. no. name r1 r2 r3 total pos. 912 Jonathan Pratt 25 23 25 73 16 no. name r1 r1 total pos. no. name r1 r2 r3 total pos. no. name r1 total pos. no. name r1 total pos.